Lionsbridge FC and Chowan University to co-host youth soccer clinic at 5 p.m. Bounce houses and games open at 6 p.m.
Free admission to the Lionsbridge FC vs. Chowan game at 7 p.m.
(February 1, 2019) – Lionsbridge FC has announced plans for its 2019 Spring Festival, which will serve as the team's official 2019 season kick off. The Spring Festival will take place Saturday, April 13 at York High School's Bailey Field. The Spring Festival will include a youth soccer clinic, a community festival with bounce houses and games from Space Walk of Yorktown and food from Chick-fil-A. The main event will be the Lionsbridge FC vs. Chowan University soccer game at 7 p.m. Admission to the game is free, and the club will collect donations to benefit Camp Kesem. The festivities begin at 5 p.m. with a youth soccer clinic open to boys and girls ages 5-16. The clinic, $15 per child, will be run by the coaches and players of Lionsbridge FC and Chowan University. Participation will be capped at 100 children and registration is open now. 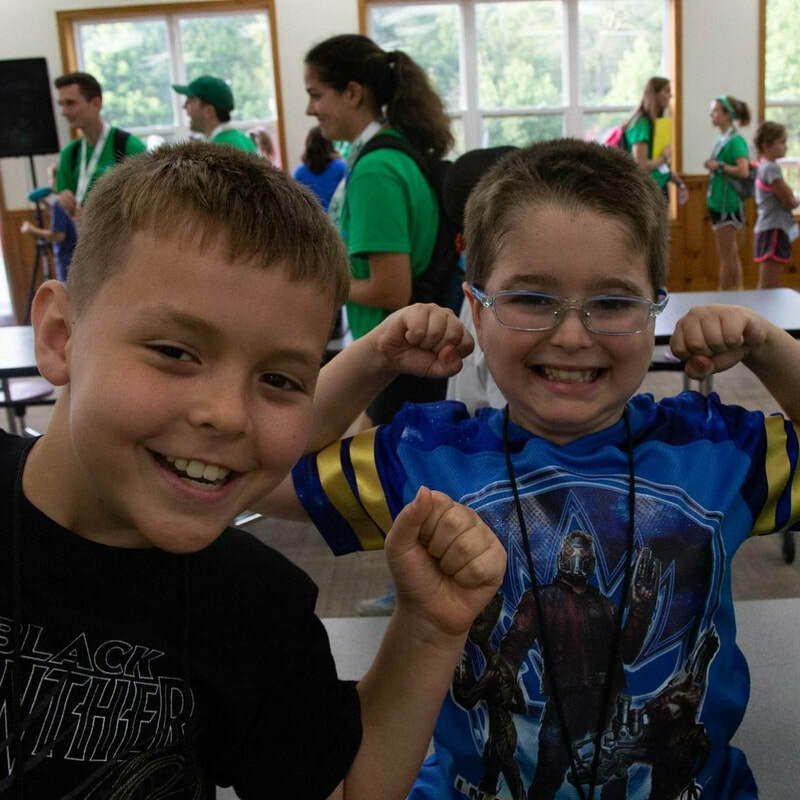 ​Camp Kesem is a non-profit organization driven by college students, whose main program is a free, week-long sleepaway summer camp for kids whose parents have or have had cancer. One of the founding Lionsbridge FC families has been personally and positively impacted by Camp Kesem. 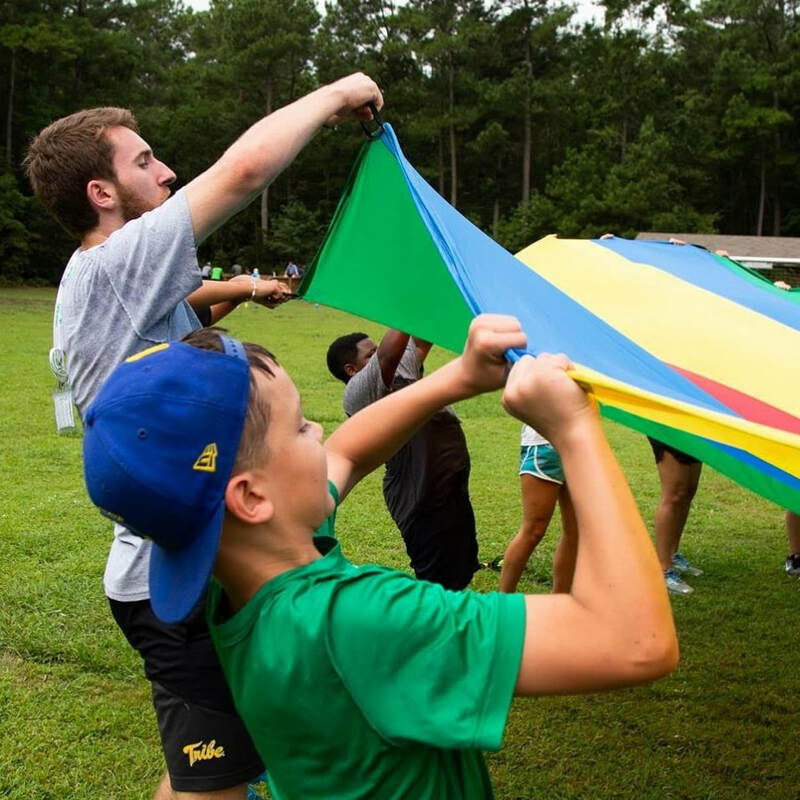 The camp has been instrumental in helping three young boys understand and cope with a situation that no child should have to endure, and will undoubtedly impact the rest of their lives. 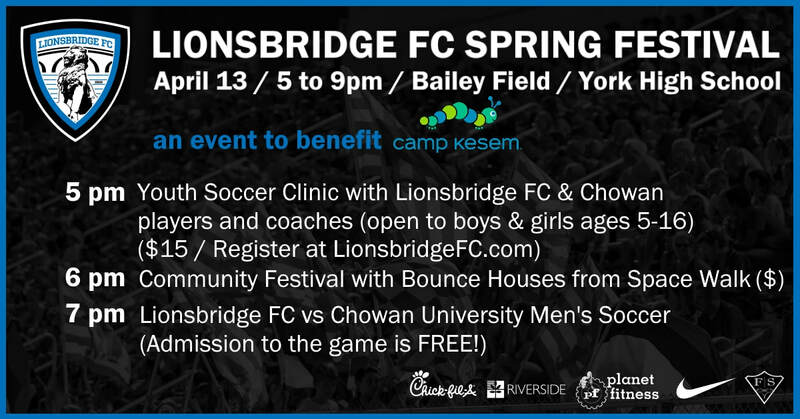 The money raised from the April 13th Lionsbridge FC Spring Festival game will support Camp Kesem in its mission to ensure that every child impacted by a parent’s cancer is never alone. For the Lionsbridge FC vs. Chowan University game, the Lionsbridge FC players will wear special edition jerseys featuring the logo of Camp Kesem. The game-worn jerseys will be available for purchase through a silent auction with proceeds going to Camp Kesem.